Celebrity Impersonators, Lookalikes and Tribute Artists in Los Angeles and Las Vegas. Event planners providing meet and greet Hollywood celebrity lookalikes for theme parties and trade shows. 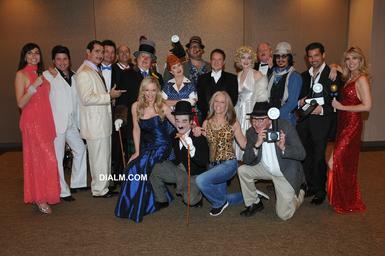 818-953-4256 - Celebrity Impersonators Lookalikes Tribute Artists in Los Angeles and Las Vegas. Event planners providing meet greet celebrity look-a-likes for theme parties. Celebrity Look alikes and celebrity impersonators are increasing popular in today's world of celebrity obsession. Companies are using celebrity images to promote products and attract guests to parties and trade shows. Look alikes have been popular for many years and have been hired to meet and greet guests at the start of a party. They can also surprise guests by making an entrance, and in the case of celebrity impersonators sing a song or two. Impersonators are different than Look alikes. They may not look as much like the celebrity they are portraying, but they will speak, act and sing like them. They are great for mixing and mingling with the guests as they can interact as their celebrity they are portraying would. 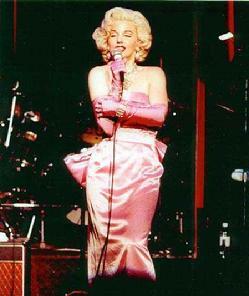 Many impersonators can also put on a live stage show. We can combine several impersonators to create a complete “Evening With The Stars” musical review. In this show all the impersonators will not only perform like the celebrity they are impersonating, but sing live. This show is great for an “old Style Vegas” theme party or casino night event. The show can be designed from one to several performers. People are intrigued when they see a look alike and they stop and talk or ask to have a photograph taken with them. Look alikes are attention grabbing and something different, They are perfect for Christmas parties or Birthday surprises, any corporate event or trade show, All of our Look alikes are eye catching and will have you doing a double take. When you hire a Look Allike or Impersonator from Dial M Productions you have secured the finest talent. Our performers have been pre-approved to be working up to our high quality of standards, professionalism, and time management. They will arrive for your event early, in proper wardrobe, perform for the specified amount of time, and create an atmosphere that will inspire the guests to socialize and have a great time. You can rest assured knowing that we carry liability insurance for all of our events. We belong to Copyscape and will be notified if a picture of content is copies without our permission.